There is no other day that a girl anticipates more than her wedding day. It’s about romance, of being surrounded by family and friends’ blessings, and a day of beautiful things. The wedding day creates memories that last a lifetime. Here are the 5 things that every bride has on her wedding wishlist. She wants to look beautiful and spends months looking for the perfect wedding joda. The colours are chosen with care because they symbolise romance, happiness and, of course, will make her look absolutely perfect. 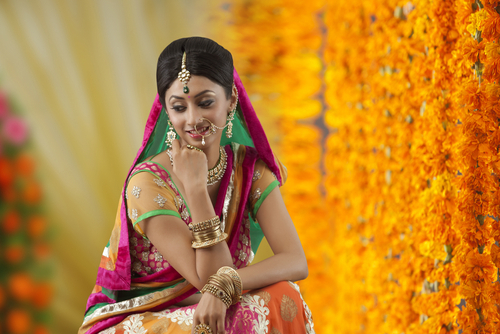 The lehenga design blends together tradition and modernity, along with the love of her parents which has made this day possible. Every girl wants to look her most beautiful on her wedding day. She will gather together the makeup and beauty products that will enhance her allure. After all, every eye at the wedding ceremony is on her! Her wedding day vanity kit is put together with the utmost care. It’s also a chance to bond with her mother and friends - after all, shopping and trying on makeup is part of the fun. 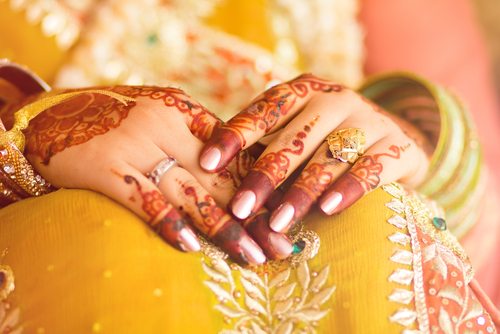 The jewellery given to a bride for her wedding is extra special. The Platinum EVARA jewellery carries love and blessings her family showers on her. Love is at the heart of every EVARA design. Each design has a ‘Platinum Bond’, that spells a beautiful interpretation of modern day values with blessings and wishes that every bride looks forward to on her wedding day. 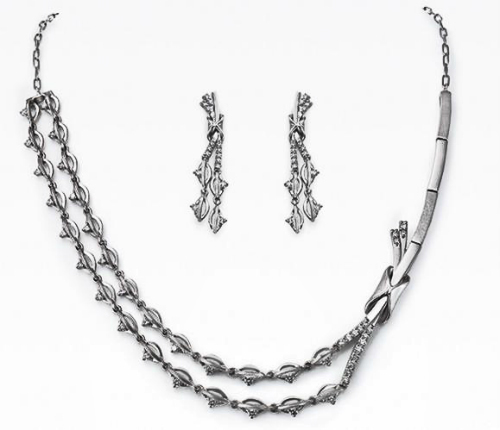 And every time she wears these elegant pieces, it is bound to rekindle the special bond she shares with her family. The wedding day creates everlasting memories and a skilled wedding photographer is one of the most important parts of a bride’s wishlist. They will capture the images of love and blessings abundant on this day. These images are shared and will form the precious memories of this wonderful day. The bhaiya leading her for the pheras under the phoolon ki chaadar, the playful bickering amongst her friends and cousins during the joota chupai, and the emotional moment when her father takes her hand and leads her to the mandap - these precious moments will be forever etched into the bride’s mind. This emotion-filled day is made special because of the love she feels being showered upon her. *This is a sponsored post for Platinum EVARA.